One of my favorite local bands, who I have yet to see in concert, is playing at a nearby music festival. 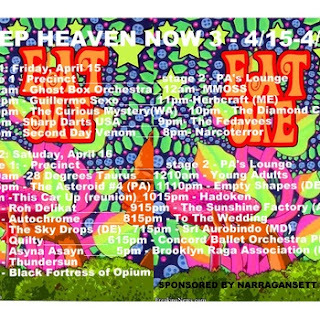 Called Deep Heaven Now, this ambient electronic-palooza is something I would dearly love to go see. But, alas, it is the one weekend I will be out of town, so I will miss 28 degrees taurus once again.